May we take this opportunity of introducing Barry Todhunter to you, who is now in his 25th season as huntsman of the Blencathra Foxhounds. His knowledge and experience of the Cumbrian Fells is quite outstanding and as the season progresses we are sure you will greatly enjoy his regular reports from the Blencathra country. We have known Barry for many years and believe he will be a great asset to The Love of Hunting website. I was born at Nether Row, Caldbeck, in 1956, son of farmers Bob and Ida Todhunter. My father’s family were all farmers, and my mother’s side of the family they were gamekeepers and miners. 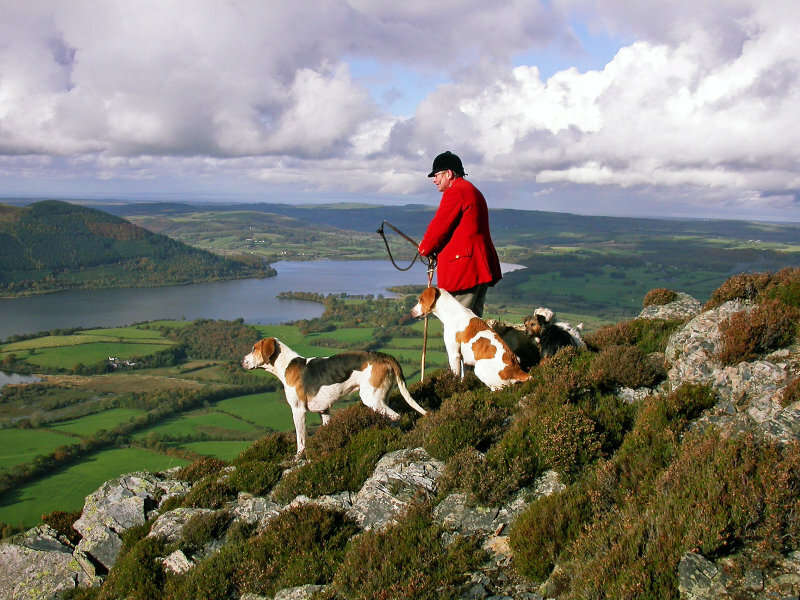 My grandfather, Fred Bartle, was head keeper for Lord Leconfield, who had grouse moors on the Skiddaw range but, Fred was also a very keen hunting man who, as well as hunting and supporting the hunt, composed hunting songs. 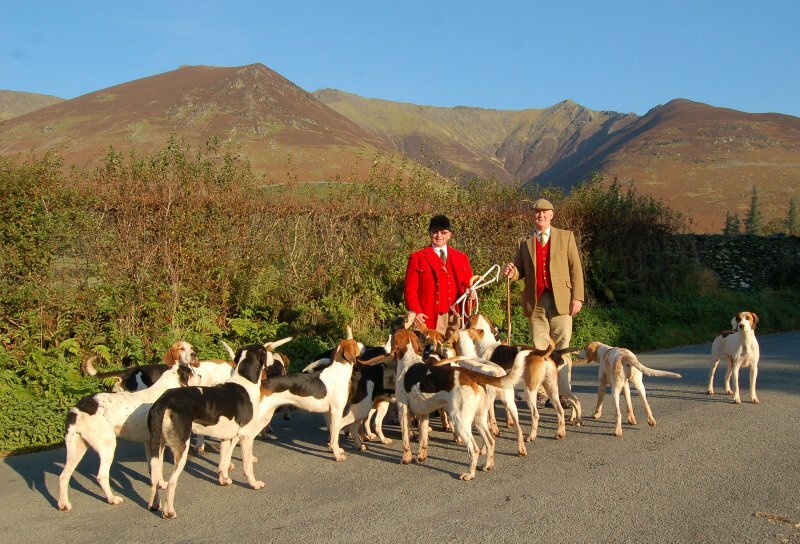 On leaving school at the tender age of 15, I was employed as whipper-in for the Lunesdale Foxhounds, the most southerly fell pack, under huntsman John Nicholson. I spent two happy seasons with the Lunesdale which covered the Yorkshire Dales, parts of Lancashire and Cumbria. My first season’s weekly wage was £7, but £3 was for board and lodgings, in the second season my wage increased to £9 and so did the board up to £4. So when the position as whipper-in to the Blencathra became available back in my home country, and a wage of £17 it spoke for itself. I managed to secure the post of whipper-in to Johnny Richardson and started on the 1st September 1973. The one main down side to the job was that the hunt had no vehicle, and Johnny did not drive. Part of the whips job description was to provide a van and was paid so many pence per mile for hound collection and also collection of dead stock, which even meant dressing a dead cow on a farm and ferrying the pieces back to the kennels. I married a local farmer’s daughter, Sue Cartmel in 1980 and have a son Gary and daughter Diane who both assist me out hunting. On the 1st march 1988 Johnny Richardson died in bed and I was employed as huntsman having whipped in to Johnny for 15 happy years. The Blencathra is quite unique that since 1839 I am only the 7th huntsman. I was fortunate in having three full time whips and one part time whip in the first 15 seasons as hunting hounds, but have been single handed for the last 9 seasons and I have just started my 25th season as huntsman.